On Wednesday, October 24, Wissahickon Valley Watershed Association (WVWA) and Friends of the Wissahickon (FOW) will host “Communities Connecting for a Clean Wissahickon.” All residents of the Wissahickon Valley are invited to attend this public forum. 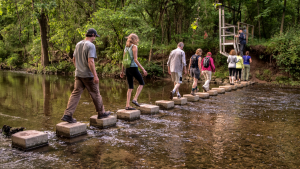 A panel of regional and local stakeholders will share progress on the Wissahickon Clean Water Partnership and discuss the watershed-wide research and planning that will result in a new holistic approach to improving water quality in the Wissahickon Watershed. This is a follow-up to two previous town hall meetings held in 2012 and 2015 on an issue that impacts everyone in the Watershed. The 64-mile Wissahickon Watershed which encompasses 16 municipalities is connected by the Wissahickon Creek, from its beginning in Montgomeryville to the confluence of the Schuylkill River in Philadelphia, where it eventually joins the Delaware River. The Wissahickon Creek is a vital part of this watershed. Besides its beauty and popularity for recreation, it contributes to the drinking water of 350,000 Philadelphians and is a habitat for local wildlife. Over 130 species of birds can be found in the watershed, as well as 15 mammal species and 574 species of native plants. The Environmental Protection Agency released a report in 2015 demonstrating the importance of small streams and wetlands to downstream water quality, concluding that what happens upstream affects what happens downstream. Decades-long challenges facing the health of the creek and its tributaries throughout both the upper (Montgomery County) and lower (Philadelphia County) portions of the watershed are getting worse: Development, stormwater runoff, pollution (including trash), changing climate, flooding damage, and threats to habitat. If the creek is to exist for future generations, it’s incumbent upon those who love this special place to take care of it. 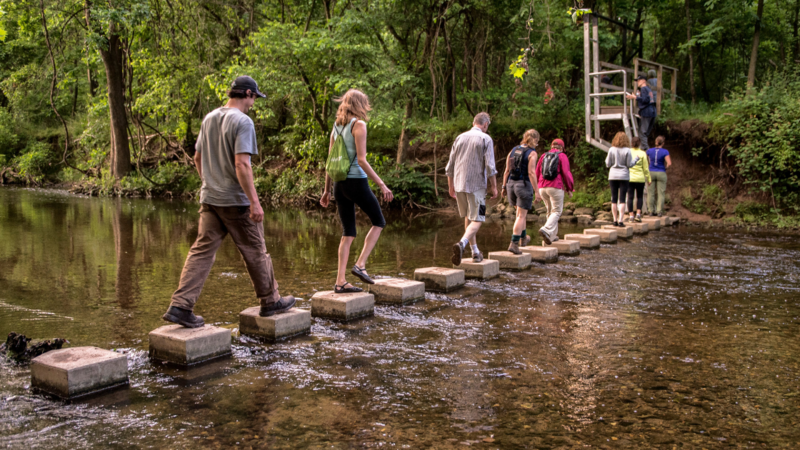 “Communities Connecting for a Clean Wissahickon” is intended to raise awareness – and action – by bringing municipalities and residents together to discuss the state of the Wissahickon Creek, better understand it, and learn what they can do to help. The Communities Connecting for a Clean Watershed event takes place from 6:30-8:30 p.m. at Springside Chestnut Hill Academy, Cherokee Campus. Green Mountain Energy, Pennsylvania Environmental Council, and the William Penn Foundation are generously sponsoring the event. Register and learn more here. Patrick Starr, Executive Vice President of Pennsylvania Environmental Council, will provide background on the regulatory framework that made the collaboration possible. Laura Toran, Ph.D., the Weeks Chair of Environmental Geology at Temple University, teaches and conducts research on hydrogeology and urban hydrology. A team of experts from Temple, led by Dr. Toran, is providing support to better understand the Wissahickon Creek through monitoring, computer modeling and assessment. Jay Cruz, an environmental scientist at the City of Philadelphia’s Water Department, has directed many watershed assessment, water quality modeling and green infrastructure monitoring projects. He has extensively studied the physical, water quality and ecosystem-level changes that occur in small watersheds due to urbanization as well as the water quality and hydrologic performance of stormwater management best practices. Ellen Kohler works at the University of Maryland’s Environmental Finance Center, a regional resource center partnering with communities in the Mid-Atlantic to advance policy and financing solutions to environmental challenges. An attorney by training, her projects focus on water resources, particularly water quality issues facing communities in the Delaware River and Chesapeake Bay watersheds. Mary Aversa, Ambler Borough Manager, will bring her knowledge about operations at the Waste Water Treatment Plant (WWTP) and the Water Company, both owned and operated by the Borough and serve several municipalities. Her background also includes all aspects of the Borough’s municipal stormwater runoff management and wastewater treatment as it relates to the WWTP’s discharge. Mark Grey has been a Township Supervisor in Lower Gwynedd Township for the last 9 years. He is on several sub-committees including the Township’s Environmental Advisory Council. He also Co-Chairs the Wissahickon Clean water Partnership, which includes 13 Municipalities and 4 Waste Water Treatment facilities.